This is a custom plate that fits both a Gherkin PCB and a 4 key macropad PCB. 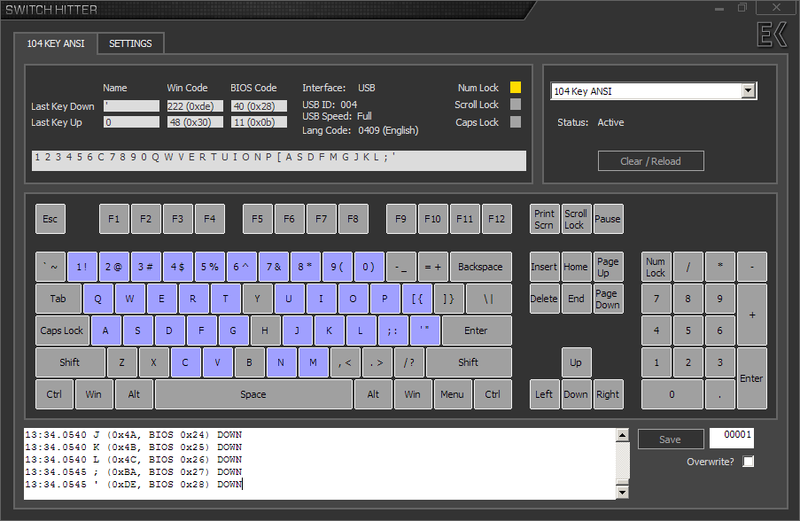 This creates a 34 key keyboard which I am going to try out Plover with. The plate cutouts are an experiment. I wanted a single PCB that could be used as the top and bottom plates. The cutouts have notches where a small flush cutter can snip the thin supports. The bottom plate is left intact. The Gherkin PCB could be installed in either orientation. The LEDs on the Gherkin could be used too but the LEDs on the 4 Key macropad could not. "Ground" on the 4 Key macropad is used as the column in the extended Gherkin matrix. The Gherkin's matrix is extended by one column. That column is connected to F6. The 4 switches are connected to rows 0-3 through diodes. This retains full anti-ghosting, NKRO. Full NKRO. NKRO is toggled on/off by holding down Q and N while plugging in the USB connector. This is saved in EEPROM and only needs to be done once. The modified Gherkin firmware is on github. It has a very basic layout by default with no layers. The plate file is here.